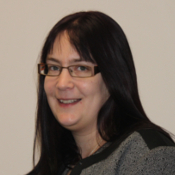 Caroline is a chemical legislation expert, with experience of interpreting and implementing EU legislation relating to hazardous chemical substances. Her knowledge and expertise is wide ranging, covering both supply and transport legislation. This experience has been developed whilst working directly in the chemical industry and through consultancy projects. Caroline is a qualified Dangerous Goods Safety Advisor (DGSA) for the transport of hazardous goods by road and rail, and holds a post graduate certificate in REACH management. Her depth of expertise means Caroline is able to help clients understand and manage their regulatory obligations, providing bespoke advice and guidance on specific regulatory matters and how best to comply.